Milika Vakaloloma, 54, of Banaras shopping at NewWorld IGA, in Lautoka. Photos: Kathrin Krishna. 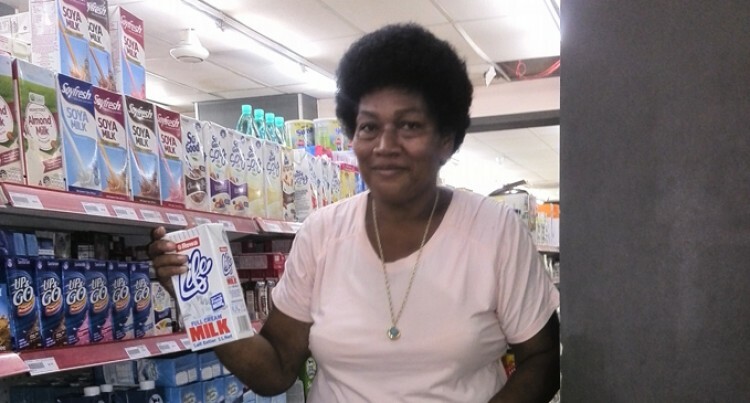 Fifty-four-year-old Milika Vakaloloma of Banaras in Lautoka loves shopping at NewWorld IGA Lautoka because of the many weekly specials that they have on selected food items. Ms Vakaloloma said that she also found the supermarket convenient in many ways – from the unbeatable food prices, the presentation, to staff professionalism. “The staff at the supermarket are so helpful and always serve with a smile,” Ms Vakaloloma said. Ms Vakaloloma added that basic food items like milk, flour, rice, oil and other groceries were always on special and she was able to save money. “There is also a taxi stand right outside the supermarket and when I am done with my shopping, I can hop in any of the taxis without having to struggle finding a transport,” she added.